Puckett’s in the Air and On the Go! Bridgestone Arena: We love being the Official BBQ of Bridgestone Arena! Whether you’re cheering on the Preds or having a blast at a concert, grab a bite to eat at the Puckett’s concession stands in sections 103, 112 and 301! First Tennessee Park: Soccer + BBQ = GOOOOAL. 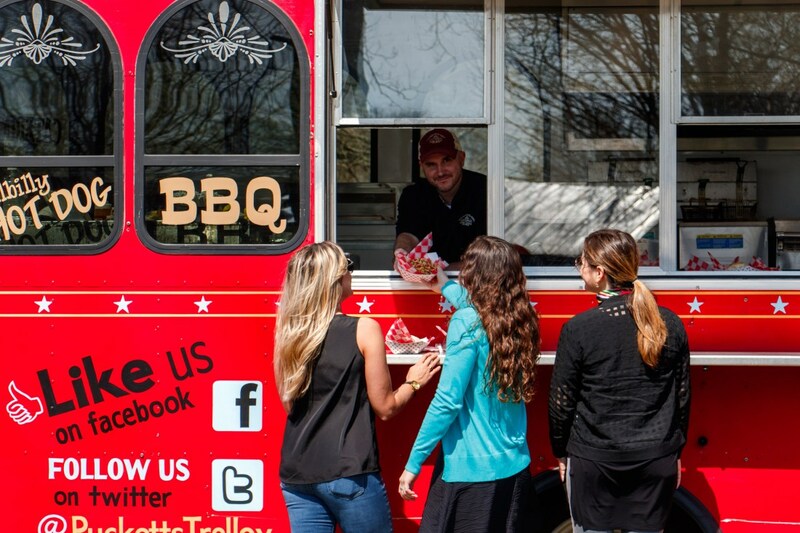 If you’re headed to First Tennessee Park to watch a Nashville Soccer Club match, don’t forget to grab some of their official BBQ while you’re there (hint: it’s Puckett’s)! Floyd Stadium: With two MTSU alums in the AMH family (shoutout to Andy & Claire! ), we are so proud to be the Official BBQ of Floyd Stadium! When MTSU football ramps back up in the fall, be sure to come find us. Finley Stadium: Chattanoogans! If you head to Finley Stadium for UTC football games, soccer games or Chattanooga FC games, we’ll be there dishing out Piggy Mac, chicken tenders and fries, brisket nachos and much more. Nissan Stadium: Our beloved food truck, Miss Trolley Parton, parks it at Nissan Stadium during Titans games + other awesome events at Nissan Stadium. Titan Up and pig out! Vanderbilt Stadium + Memorial Gymnasium: Commodore fans, rejoice! We dish out Puckett’s classics at Vanderbilt Stadium during football games and at Memorial Gymnasium during basketball games.